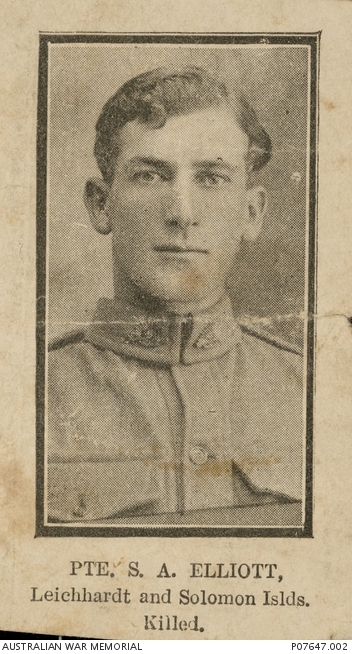 Studio portrait of 2586 Private (Pte) Sydney Anson Elliott, 13th Battalion, of Leichhardt, NSW, previously of Solomon Islands. An engineer prior to enlistment Pte Elliott embarked with the 8th Reinforcements from Sydney on HMAT Runic on 9 August 1915. On 15 August 1916 he was killed in action in France, aged 25. How can I find where he is buried in France?